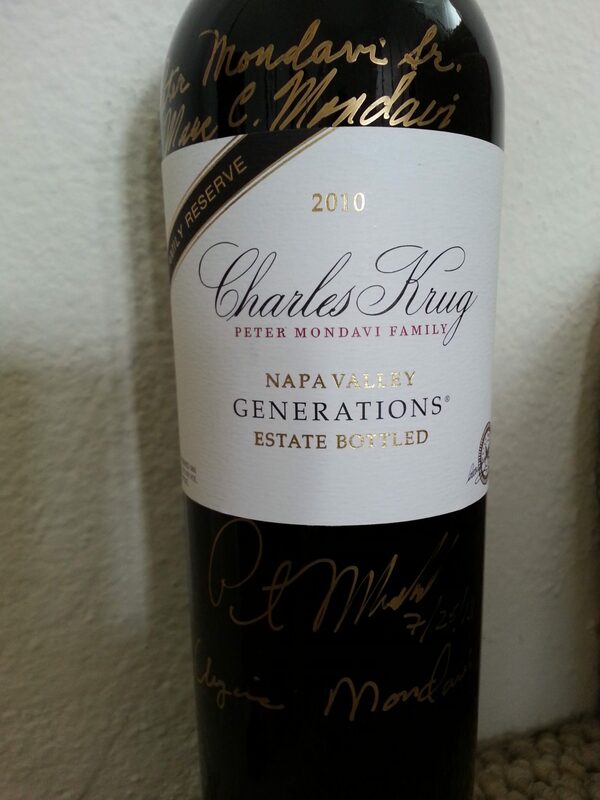 Charles Krug winery is not only the oldest winery in Napa (established in 1861) but it has been owned by the Mondavi family since 1943. 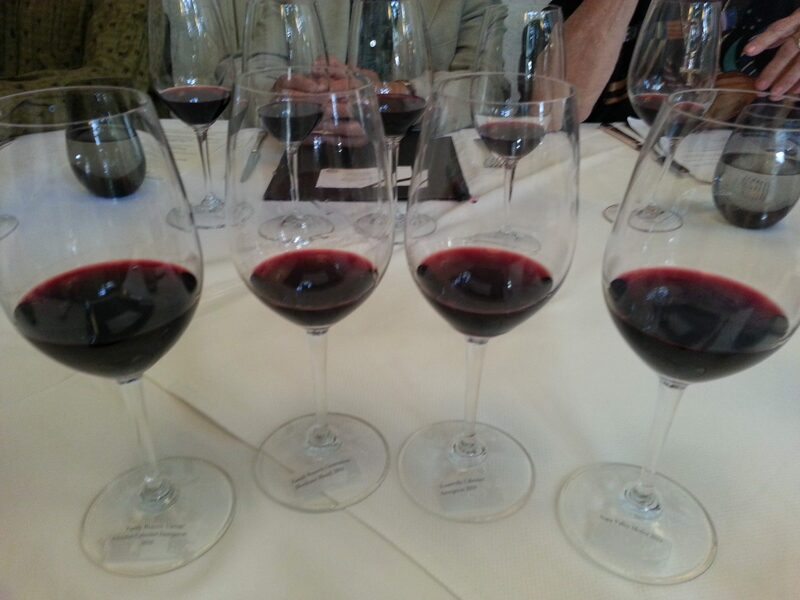 Since then, four generations of Mondavi’s have run the winery. In fact, presently there are three generations still working the day-to-day, including Peter Mondavi Sr. who is turning 99 years old on November 8. To this day, Peter Sr goes to work every day (including Saturdays), walking up two flights of stairs to his office. He works a full day, with a long lunch break, and even learned how to use Facebook recently! With his motto of “a glass of Cabernet a day”, perhaps we should all heed his advice! And what’s better than a glass of Charles Krug wine. Recently Peter Mondavi Jr. visited Los Angeles to host a lunch, share the wines, and talk about some of the exciting changes happening at the winery. Charles Krug, a “Bordeaux” house, produces Sauvignon Blanc, Merlot, Cabernet Sauvignon and Bordeaux Blends. Grown on the home property, this Sauvignon Blanc is made in the New Zealand fashion. Grapes are picked younger and it is 100% stainless steel. This summertime wine is crisp and bright with notes of lime, melon and passion fruit. The wine has great acidity but not overpowering. A “true representation of the variety,” this wine is dark red in color. It is a big, rich wine with notes of blackberry, cherry and blueberry. The wine has both a spicy and silky quality. Half of Charles Krug Winery’s production is this Cabernet. A balanced wine, it represents the Cabernet varietal with aromas of currant, cherry, tobacco and vanilla. The wine is light bodied with a short finish on the palate. This estate bottled, limited edition wine was first produced in 1991. It spends 20 months in 100% new French oak. The wine has spice notes of cinnamon, cedar, as well as blackberry and cherry. It is elegant and subtle and was my favorite of the tasting. And, in honor of the winery’s history, we each received a signed bottle of this wine with signatures from the three current generations. This flagship Cabernet has been made since 1944, the first year of production for Charles Krug, under the Mondavi Family. This wine is made in limited production and isn’t made every vintage. It is a big, full-bodied wine with notes of raspberry and cherry, as well as chocolate. In addition to continuing to make elegant wines, the Mondavi family began a vineyard and winery improvement program in 1999. Recently they began a historical renovation of the Redwood Cellars, the original winery building build in 1874. While the building has been earthquake retrofitted, when completed, there will be a new hospitality structure and they will be opening a Trattoria in the Spring 2014 featuring the dishes of Peter’s grandmother. The Mondavi family has also partnered with their neighbors across the street on Highway 29, the Culinary Institute of America at Greystone in St. Helena, CA. This past May, crops were planted on three acres of the Charles Krug Winery Estate. CIA students will help plant, nurture and harvest the crops, which include heirloom tomatoes, leeks and more, and will use the ingredients at a Farm to Table restaurant that will be open during the school year. The ingredients will also be used in the Trattoria at the winery when it opens. 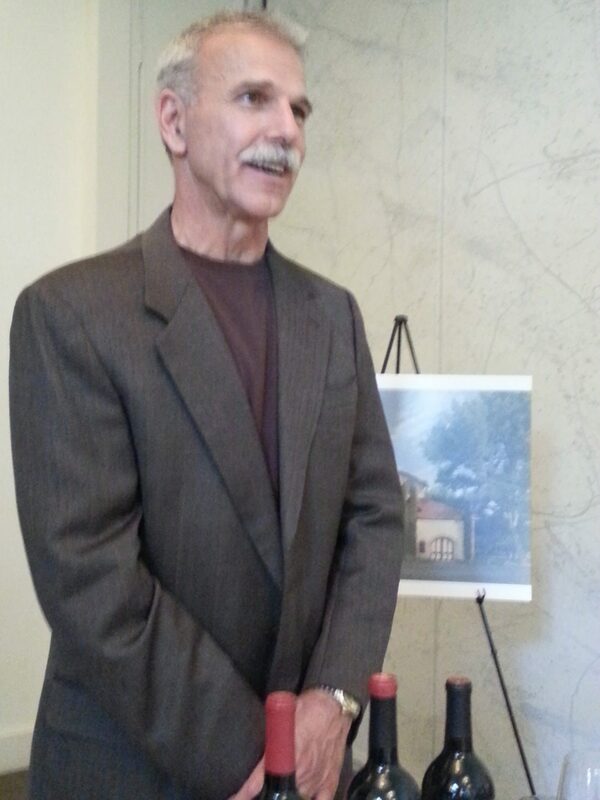 Next time you are in Napa, stop by Charles Krug for a tasting and perhaps you will catch Peter Mondavi Sr. working. And in a couple of months, be sure to visit the new hospitality center and try out the new restaurant. 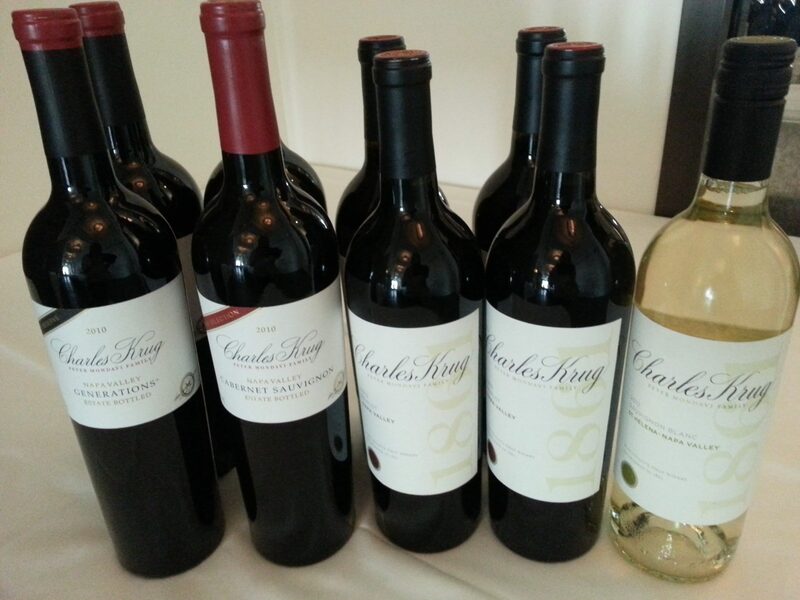 This entry was posted in Wine and tagged Bordeaux Blends, Charles Krug 2010 Cabernet Sauvignon, Charles Krug 2010 Family Reserve Napa Valley Generations, Charles Krug 2010 Merlot Napa Valley, Charles Krug 2010 Vintage Selection Cabernet Sauvignon, Charles Krug 2012 Sauvignon Blanc, Charles Krug Winery, Culinary Institute of America, Mondavi, Napa, Peter Mondavi Jr., Peter Mondavi Sr., St. Helena, Yountville by Allison Levine. It is truly a great and useful piece of information. I’m glad that you shared this helpful information with us. Thank you for sharing.